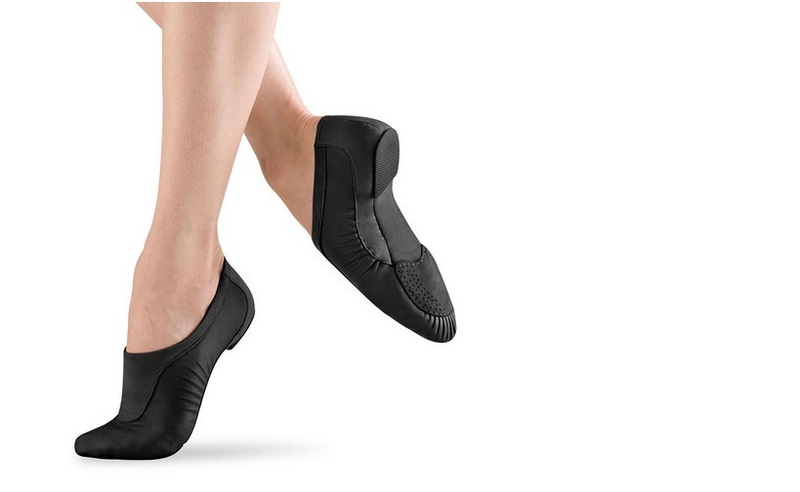 If you have taken a few ballroom lessons and are starting to be serious with the dance, you should think about buying dance shoes. A good pair of dancing shoes is made with special materials that will enable you to dance better and longer. When you try on your first pair of jazz shoes, make sure that they fit snugly to avoid any problems down the road. However, you should not select shoes that fit too tightly to avoid excessive pressure. Snug-fitting shoes will give you the best control even after you have broken in your shoes. Generally, an open toed pair of shoes is best for dances such as Salsa and Rumba because they provide more freedom of movement. The opening will allow you to point your toes and perform great footwork. On the other hand, closed toe shoes are made for smooth dances like the Foxtrot and Waltz. Unless you are shopping for a specific dance style, beginners can choose any style that they want. However, as you learn new dance moves, you need to be wearing the right shoes to avoid slips and accidents. The right heel height for ballroom dance shoes is between 1.5 and 3 inches. As a beginner, you should opt for a heel height that makes you more comfortable. If you are not used to wearing heels, you should start with the lowest height and work your way to the taller heels. Moreover, there are different heel shapes, including flared and slim. Flared heels are more popular amongst dancers because they offer more stability. When choosing men’s shoes, you should opt for 1.5” Cuban heels for Latin dances and 1” heels for ballroom dances. However, unless you are taking part in a dancing competition, you should go with 1” heels for both dancing styles. Your dance shoes should have suede soles. This material will give you the right amount of traction and slip, allowing you to feel more balanced while having more control of your movements. You need to brush your sole using a wire dance shoe brush to maintain its rough texture. Whether you buy your shoes in a store or order them online, you should start by visiting a dance supply store. Because shoe sizes vary from brand one brand to another, you need to compare and try on different brands, models, and sizes to make sure that you have the right fit. The one thing that could destroy your dance shoes is moisture. Use shoetrees to absorb any moisture in your shoes after dancing to ensure that they keep their original shape. If you want to fight odor, you should opt for cedar shoetrees. No matter what you do, dance shoes do not usually last long because of how they are used and the delicate materials used to make them. To make sure that your shoes last longer, buy more than one pair and rotate them between lessons. Whatever you do, do not wear dance shoes outside. Depending on their brand and quality, the cost of ballroom shoes usually ranges between 80 and 300 dollars. However, you do not need to spend top dollar to find a great pair, you can get good shoes for $170. It is worth it to spend a bit more on a good pair of shoes, as they will last longer and offer great support as you learn the art of dance.